Private Hua Hin and Cha_Am tours of Thailand will take you to National Parks on Soft Adventure Tours where you will see wildlife, bird spotting and be able to trek up waterfalls. The beaches in Hua Hin and Cha-Am are pristine and you will enjoy relaxing on the beach. Thailand tours also offer historical tours and wine tours from Hua Hin and Cha-Am. We will take you too the very best that Hua Hin and Cha-Am areas have to offer. You can take Thailand tours to the temples, take a soft adventure tour, ride Elephants, see the wildlife and do some light trekking. No matter which Hua Hin or Cha-Am Tour you choose you will have a fantastic experience with your very own personal chauffeur, guide and concierge services. We use the safest luxury vans and drivers and employ the best guides. Every thing is included in our prices. 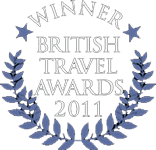 We are fully licensed by the Tourism Authority of Thailand.